The amfAR charity gala attracts large amounts of coverage from the worlds largest press outlets, ranging from news, scientific, fashion and celebrity. Mazarine Asia Pacific/ Occasions is responsible for attracting and curating a global press campaign, maximising on the events efforts and raising awareness worldwide. Simultaneously maintaining brand integrity and disseminating key messages alongside parallel news was paramount on this project. Negotiating a complicated socio-political maze was critical in setting up amfAR in Hong Kong. Mazarine Asia Pacific/ Occasions leveraged its extensive network of high-profile connections to successfully introduce the international charity powerhouse to great fanfare. 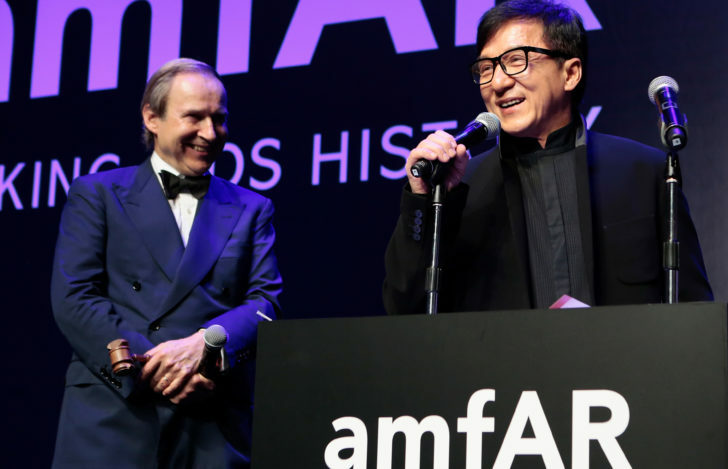 With each year, the amfAR brand has grown in Asia and now attracts guests and media coverage from the highest ranks. One key aspect of the amfAR charity gala is celebrity endorsement and media coverage by society, celebrity and fashion media. Attracting and coordinating A-list celebrity appearances who wish to lend their name to the cause has proved to be a very successful model in raising awareness and funds for amfAR. In previous years, Mazarine Asia Pacific/ Occasions has invited high profile celebrities such as Naomi Campbell, Victoria Beckham, Charlize Theron and Alessandra Ambrosio to attend. Working alongside amfAR has allowed Mazarine Asia Pacific/ Occasions to create a genuinely valuable and meaningful event on the Hong Kong social landscape. Leveraging on brand awareness, an extensive network of contacts, celebrity appearances and meticulous planning. We have been able to establish a world-class charity event that year on year continues to push fundraising expectations and this past year raised over USD 3M in only its 4th year, a figure that we expect to grow substantially as we continue to raise awareness for amfAR in Asia.